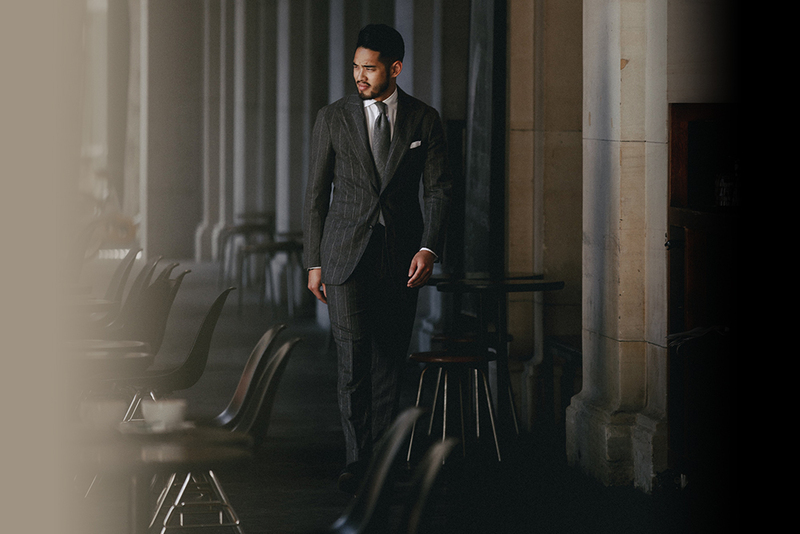 "How to build a collection of business suits – one that is altogether timeless, conservative, and professional." In the field of made-to-measure tailoring, the question we get asked most frequently from our clientele is just how to build a collection of business suits – one that is altogether timeless, conservative, and professional. Assuming that one wears a suit everyday within the week, our approach has always been to start the arsenal with five decent suiting before subsequently exploring alternative fabrics for seasonal changes and sports jacketing essentials for a more complete wardrobe. We’re confident that a midnight blue suit in worsted wool paired alongside a crisp white cotton shirt has become the standard ensemble at work – nonetheless, what differentiates one man from another is how his suit fits. Therefore, we strongly advocate that the workhorse staple demands for both quality in fabrics and tailoring. Also worth considering is a hopsack sports jacket – crease resistant, hard wearing, and entirely breathable. Due to this nature of the fabric, the unstructured jacket can be the ideal garment for frequent business travellers. What this means is alighting from a seven-hour flight and straight into a client-facing meeting, looking sharp and feeling comfortable without necessarily having to fuss about unwanted creases. Or, a dove grey suit in lightweight flannel, which works particularly well for shoulder seasons. We’d recommend putting together the look as pictured while bearing in mind that blues and greys are complementary, business-appropriate colours. The same understated elegance can also be effortlessly achieved with double-breasted jackets for more conventional suiting or three-piece suits including waistcoats for more mileage. There are certain cultural associations that make some patterns appear seemingly more formal than others – two-piece charcoal grey pinstripes are examples of masculine and powerful statement pieces. As pictured, neckties in various shades of the same colour can dress up the overall formality of the outfit. 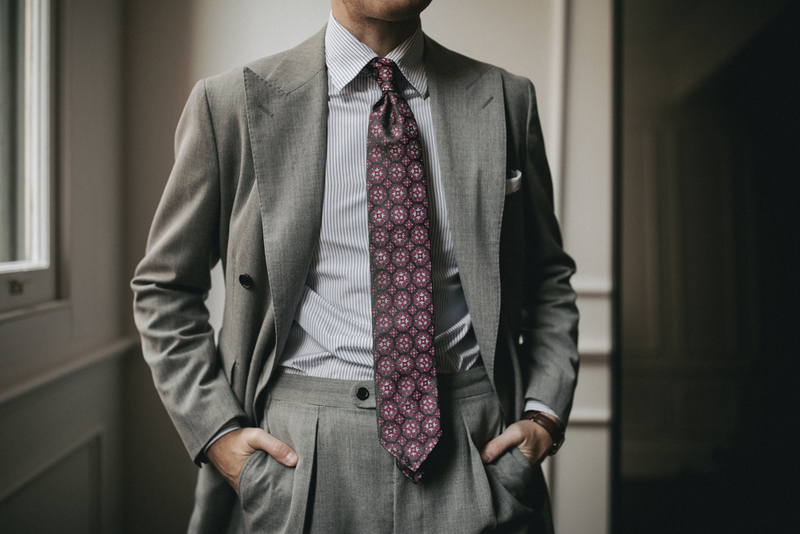 Or dress down with a casual textured grenadine necktie – it breathes life into an otherwise uniform appearance but at the same time, keeps the dress code rather sober. 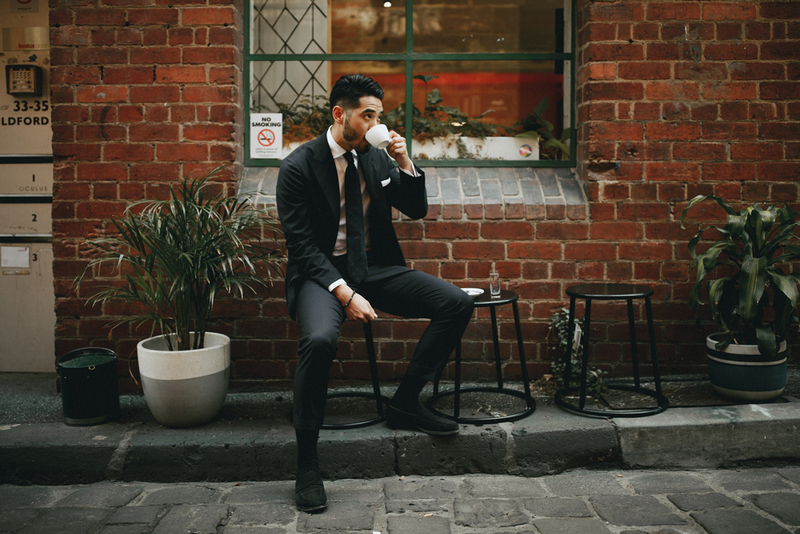 Within the business-formal context, adding variation does not necessarily mean attracting attention through bold sartorial choices – instead, it’s the nuances of quintessential patterns and the opportunities to wear them that we find dressing up in the mornings enjoyable. Essentially, a prince of wales suit jacket can be worn immaculately either as a two-piece between appointments or with trousers in solid and complementing colours for smart-casual occasions. That said, we often suggest moving forward with brown palettes next because of its versatility to transition well from creative offices to after-hour drinks. As pictured, white shirts act as blank canvases for these palettes to work harmoniously together. Especially so, too, when taking into consideration more formal patterns – herringbone, for instance. At this stage, we encourage a wool-silk blend sports jacket that keeps one sharp from casual Fridays to the weekends. 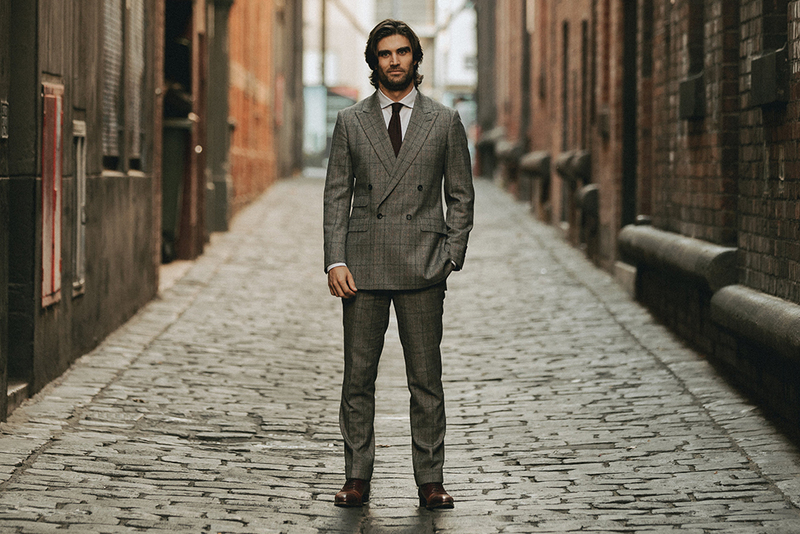 Book a fitting at our Melbourne and Sydney showrooms for business suitings today.